This Really cute New construction home in a great neighborhood is back on market. Home is finished and ready for move in. 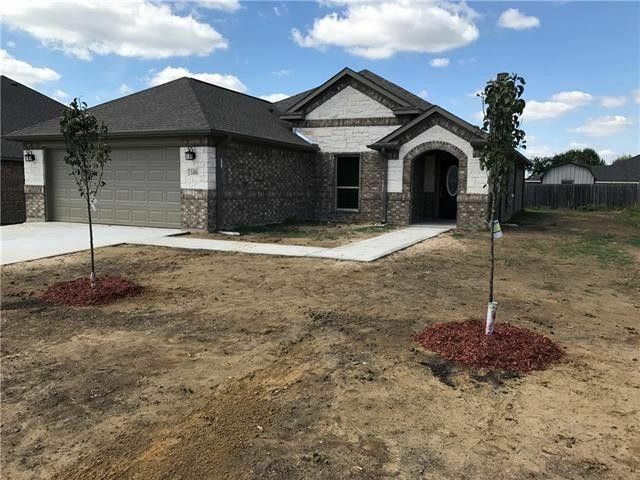 4 bedroom 2 bath 2 car garage. Nice living with WBFP and open to kitchen and dining. Kitchen stainless steel appliances, has granite counter tops, custom cabinets with a breakfast bar. Vinyl wood looking plank flooring and carpet in bedrooms. Master bedroom features his and her walk in closets, with a garden tub and sep walk in shower. Concrete driveway oversized than most for plenty of room to park. Come see this Cute home today.